Manufacturer & Exporter of Ceramic Valve. 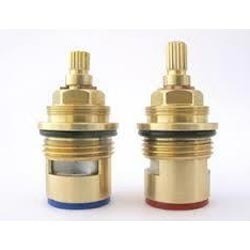 Our product range also comprises of Brass Ceramic Cartridge and Brass Sanitary Fittings.these products are stringently inspected on certain well-defined parameters to rule out every possibility of defect. Innovation is our forte and we strive to manufacture, supply and export Ceramic Valve. To manufacture the offered range, our experts make use of high quality material that is sourced from trusted vendors of the market. Post-production, these products are stringently inspected on certain well-defined parameters to rule out every possibility of defect. Looking for Ceramic Valve ?